Places to Visit in Bordeaux – Your Total Travel Guide to the City of Art and History! 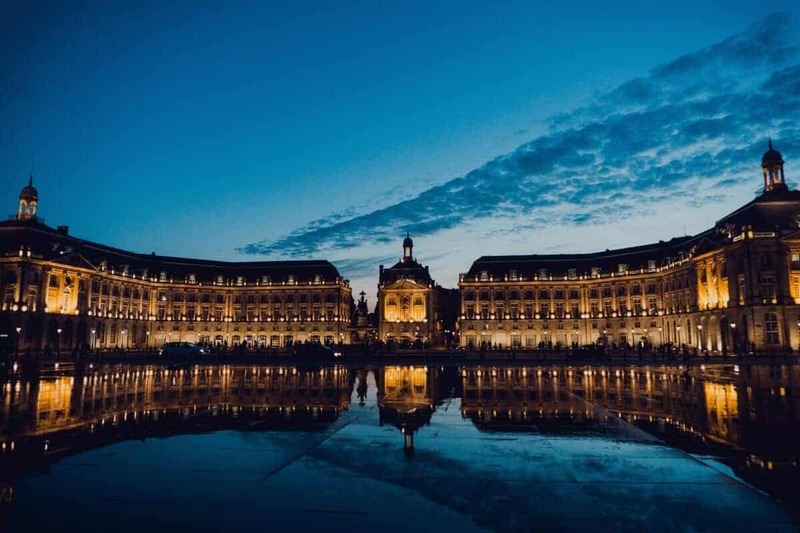 Home » France » Places to Visit in Bordeaux – Your Total Travel Guide to the City of Art and History! If you love wine, Bordeaux must be on your bucket list. This French city is the world’s wine industry capital. The city has been producing wine since the 8th century. But also, Bordeaux is the “City of Art and History” because it’s home to 362 historical monuments. Some of the buildings date back to Roman times. This is the reason Bordeaux is on the UNESCO’s World Heritage List. So if you’re looking for a place that’s rich in history and also has a great cultural vibe, go to Bordeaux. We made this Bordeaux travel guide for you to plan your trip! 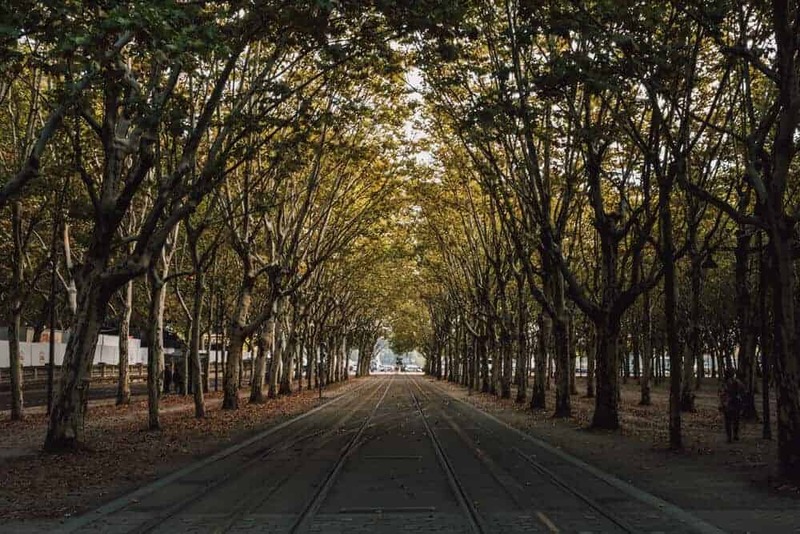 Some years ago the banks of the Garonne River were abandoned and had almost no use in the city but recent years have seen the transformation of this place. If you visit it nowadays you’ll find gardens, shops, bars, and cafés. You can also take tours along the river and even rent a jet ski to go down the river. If you’re traveling to Bordeaux, this is a must see! When visiting the banks of the Garonne you must stop at the Place de la Bourse. It is open to the river but enfolded by the Palais de la Bourse that will remind you of Versailles. Right in the front you’ll find the miroir d’eau, a giant pool that alternates a mirror effect and artificial misting, turning this place into one of the most photographed places in Bordeaux. This is also a great place to bring kids since they’ll love playing with the water. One of the most known buildings in Bordeaux, the Grand Théâtre may be the most beautiful theatre of the eighteenth century in the world. The theatre has been attracting culture lovers for more than 300 years. The auditorium has a circular dome with a fresco by Claude Robin. This was also the place where the National Assembly was hosted during the French Revolution. Check the agenda of the theatre here. This cathedral was built between the 12th and the 14th century and it’s an unmissable gothic construction in Bordeaux. After some tumultuous years of the cathedral having other purposes (like being a food store), it was until 1800 that it recovered its “orthodox” purpose. There’s a big collection of holy antiques that is open to the public… and also a Rembrandt! Don’t forget to also visit Tour Pey Berland, the cathedral bell tower built near it. One of the most iconic constructions of the city. La Flèche is 144 meters high, it’s also located near the church beside it instead of on top of it (like the Tour Pey Berland). Saint Michel belltower and its crypt are open every day during tourist season. Opening hours: every day from the 1st of April to the 31st of October from 10 am to 1 pm and from 2 pm to 6 pm. The last climb to the tower starts 30 minutes before closing. Pont de Pierre connects the left and right banks of the Garonne and it was commissioned by Napoleon in 1822, this was the first stone bridge to be built in Bordeaux. Fun fact: it has 17 spans… coincidently the same number of letters in the name Napoleon Bonaparte. This place opened in 2016 on the banks of the Garonne. It’s said it is the best wine center of the world and you won’t doubt it once you visit it. This place brought together scientists, enologists, and historians to immerse visitors into the wine culture. The building itself is impressive with aluminum, glass and wood textures. There are 800 wines for you to choose from and buy and there are three wine tasting rooms. Opening hours: open daily from 10 am to 7 pm. Be sure to check their website because they close on some holidays. The Chatrons are the place where English, Irish and Dutch lived when they arrived in Bordeaux to trade wine. The locals wouldn’t want them in the center of the city so they moved to this place. This part of the city has a bohemian and artistic vibe. Don’t forget to visit the antique shops, especially the ones in Rue Notre Dame. Close to the city center, this is the most ancient Gallo-Roman vestige in Bordeaux. It’s an amphitheater that has several arches and wall remnants incorporated into surrounding houses. This place had space for 20,000 spectators to watch the games. It was also said that during the 17th century this was a place where witches gathered. Public Garden: 11 hectares of grass, trees, flowers, and plants. Visit it with children since it has a great playground and a puppet show. Floral Park: 33 hectares full of beautiful landscapes full of flowers. Don’t miss the 5,000 m2 rose garden. Riviere’s Park: it was an old mansion of the late 19th century turned into a park today. You’ll find various tree species. There’s also a game area for children and themed events. Palmer’s Park: you’ll find varied landscapes and you’ll get to see the Garonne. It has a steep cliff and two castles. It also has a school of music, sports courts and a playground. You’ll go on a journey through time and urban geography. Learn all about Bordeaux’s history but also learn about how architects and urban planners envision the city in the future. It’s a perfect museum to visit with the whole family since it has activities suited for everyone. The museum also offers urban walks from April to June and September to November. Opening hours: Monday to Sunday: 9 am to 1 pm and 2 pm to 6.30 pm, Sunday and bank holidays: 9.30 am to 1 pm and 2 pm to 5 pm. Closed on 25th of December and 1st of January. A museum about art brut. What’s art brut? Well, this term was invented in 1945 by Jean Dubuffet and it was translated as “outsider art”. The term refers to art created by non-professional artists, people who are spontaneous and that have no cultural pretentions with their art. This museum has one of the largest collections of art brut in the world and it’s something you can’t miss a chance to see. Your perspective on what is and what is not art will be challenged. Opening hours: open every day except holidays. Winter hours (November to February): 2 pm to 6 pm. Summer hours (March to October): 3 pm to 7 pm. A former warehouse, this museum is house of intriguing works of art. It has 1,299 works of art and it’s also a meeting place for artists and people interested in art. It also has a library (that you can visit by appointment) and a café. Opening hours: Tuesday to Sunday from 11:00 to 18:00, extended hours on Wednesdays until 20:00, closed on Mondays and public holidays. This museum covers the history of Bordeaux (and the region around) from pre-history onwards. It has sections about Romans, Atlantic commerce, and the slave trade. If you only want to visit one museum during your visit to Bordeaux, make it this one. Opening hours: Open every day from 11.00 am to 6.00 pm except Mondays and Bank Holidays. This museum is all about the wine trade. It’s located in a merchant’s house and it has a collection of unique objects dealing with wine. You can also learn about great merchant families and wine tasting. Ticket cost: 10 € (it includes the tasting of two wines). Opening hours: open all year (even bank holidays), Monday to Sunday from 10 am to 6 pm. Wine is everywhere in Bordeaux! French cuisine is always a delicious idea! Bordeaux offers plenty of options for you to try it and some say it even offers better options than Paris. You can choose from Michelin-starred restaurants but there are also tons of budget-friendly places to eat. Don’t miss the chance to try finely chopped shallots with red wine vinegar, entrecote à la Bordelaise, white asparagus, macarons, and canalés. Check all the options available so you can try the best of the gastronomy of Bordeaux. Wine Spectator also has a great guide on where to eat while in Bordeaux. For a budget-friendly option, head down to the Marché des Capucins, a typical food market in Bordeaux. For a truly French experience go on a Saturday morning and buy some oysters and white wine from any of the stands in the market. You can’t speak about Bordeaux without mentioning wine. Wine is everywhere in the city and intertwined with its gastronomy. To really experience l’arte de vivre the French are so proud of you must do it like a local. Share a bottle of wine around a table, chat with merchants and viticulturists, ask questions to wine shopkeepers… enjoy the wine culture! If you want to stay in the city and enjoy the wine atmosphere there you can visit the Cité du Vin (we’ve already mentioned it) and all the restaurants dedicated to wine and food pairing. A great way to explore the wine scene in Bordeaux is by taking the Urban Wine Trail. Think of the Urban Wine Trail as a way to explore both the city and the wine culture of it. The route takes you through all the different districts and all the diversity of its wine bars. It’s a great way to discover the city and also to meet fellow wine enthusiasts and local Bordelais. Must go places in this route are Bar à vin du CIVB, Le Flacon and The Wine Bar du Boutique Hôtel de Bordeaux. Check the whole route here. Entre-deux-Mers: most of the wineries in this region are family owned so the atmosphere is super friendly. Here, the Romans started producing wine 2000 years ago but it was when the Benedictine monks started making wine in the middle ages that the place established its reputation. Check La Sauve Majeure Abbey (a protected site by UNESCO) and hit the road in a bike to take the Voie Verte Roger Lapébie path for a different way to discover the region. Graves et Sauternes: the first ever Bordeaux vines where planted here over 2000 years ago. The wineries in this region are super diverse: you can find prestigious ones like Château d’Yquem and Michelin-starred restaurants but also family-run estates and small restaurants. So if you’re either on a budget or not, you’ll find something that appeals you and there are plenty of tours and experiences to choose from. Médoc: a perfect route if you’re an architecture enthusiast. This route is also known as the Castles Route and it’s an 86 km road full of history and gorgeous landscapes. On this route you’ll find beautiful chateaux where you’ll experience the wine culture at its fullest. Here you’ll discover the history and gastronomy of France. Saint-Emilion, Pomerol, and Fronsac: the village of Saint-Emilion is worth your trip even if you don’t like wine. The world’s first UNESCO classified working vineyards surround St Emilion. The village offers a lot of tours, wine tastings and winery tours that you can check here. From St Emilion, you can take a day tour to Pomerol and Fronsac, which are very close. Blaye et Bourg: a route perfect for a weekend visit. There are 450 wine properties that are ready to welcome you anytime. This region also has prehistoric caves: the Grotte de Pair-non-Pair at Prignac-et-Marcamps. Visit them between tastings! Since many of the wineries are family owned this place has a reputation of being super family friendly. These festivals are just one of the reasons to visit Bordeaux, which one will you choose? Les Epicuriales: this festival is held from May to June and it turns the central Allées-de-Tourny into an outdoor restaurant. It’s a celebration of food and drink that offers the visitor free cooking classes and a street full of around 20 pop-up restaurants. You can also meet the chefs of some renowned Michelin-starred restaurants. Check dates, chefs, and menus on their website. Dansons sur le Quais: during July and August you can dance your heart out along the river bank. This festival takes place on the Quai Louis XVIII where dancing enthusiasts host free dancing evenings. Anyone can go, it doesn’t matter if you’re a beginner or a pro. The dancing starts at 7-8 pm and goes on until midnight. Check the program of the festival here. Médoc Marathon: a great excuse to go drinking wine and eating to Médoc (kidding, we don’t need an excuse to go and drink wine at Médoc). The marathon takes places in September and it offers the 8,500 runners gourmet stands along the way with oysters, ham, steak and wine… obviously. Once you get to the finish line, there’s more food and wine waiting for you. Check all the info here. Festival Climax: for the young people. This festival has brought to Bordeaux bands like The Kooks, Franz Ferdinand, and Morcheeba. The festival also includes talks, lectures, art installations and exhibitions along the bank of the Garonne. Check the full lineup here. Bordeaux International Arts Festival: more than 20 exhibitions and 30 shows are part of this festival. You can attend to all sorts of events that include street theatre, circus, dance, concerts, and exhibitions. The festival is normally held during October. Check the official website to get more information. Bordeaux is definitely cheaper than Paris if you compare both of them. Maybe these are the Bordeaux’s travel tips you really want to read about! There are ways in which you can save money but keep in mind that France, in general, is an expensive place to visit. Check this information to know how much you’ll spend. Bordeaux offers the accommodation you need for your trip needs. You can either stay at five-star hotels or at hostels and if that’s what you like, you can also stay in chateaux in the countryside or at bed and breakfasts inside the city. If budget is not a problem, stay in the center of the city, also called Triangle-d’Or. There you can find 5-star hotels or boutique guesthouses. You’ll also have all the other districts of the city close and easy to get to. If you’re looking for budget-friendly options head down to Saint-Michel, Chartrons or Lac. At Bordeaux, you can find shared rooms on Airbnb for around 10 to 15 USD per night or shared rooms in hostels starting on 22 USD per night. Check Résidence Jacques Ellul, Auberge Jeunesse Bordeaux and S’cool Hostel for budget-friendly hostels. There are also tons of mid-range options to stay in that range from 50 to 100 USD. The CityPass is a great idea if you plan to use public transportation while visiting Bordeaux. Exploring Bordeaux is really easy since the city has many options when it comes to transportation. Depending on how many days you’re staying you can choose the best for you. Here are the basics you should know. You can use the tramway, buses, Bat3, and bikes. The public transportation covers the metropolitan area of Bordeaux and it offers packages depending on your needs. You can buy tickets for a certain amount of days or tickets for a specific amount of trips. A ticket for 1 trip costs 1.60 € and a travel pass for a day costs 4.60 €. A great option to explore Bordeaux is to do it by bike. If you want to use the bike you can buy a 24 hours code for just 1.60 € (for trips no longer than 30 minutes between bike stations). Check the map of the bike stations here so you can plan accordingly. There is also a 7-day pass that includes all kinds of public transportation in Bordeaux that you can buy for 14 €. To check the complete list of prices for transportation around Bordeaux, you can check all the information here. If you like walking this is a great city to visit. Every street is interesting and you’ll also save on transportation. If you’re planning on using public transportation buy the CityPass, which we’ve already talked about. For accommodation or eating out avoid the Triangle-d’Or (the heart of Bordeaux, bounded by the boulevards Cours Clemenceau, Cours de l’Intendance and Allées de Tourny). The city is a really popular destination during summers so if you want to go at that time try to book as early as possible to get the best deals. One of the best locations to look for accommodation is near the train station, you’ll have access to the whole city through public transportation and the prices will be lower. Since tasting wine is an essential part of visiting Bordeaux you may want to take a tour. Before booking any tour, search for the best options. There are some tours that offer you a more private and intimate experience but they’re more expensive (around 100 to 150 €). If you don’t mind sharing the experience with 50 other people you can take cheaper tours for something around 50 €. Best time to visit Bordeaux: April to October (not including July and August since they’re very hot) is the best season to visit Bordeaux. 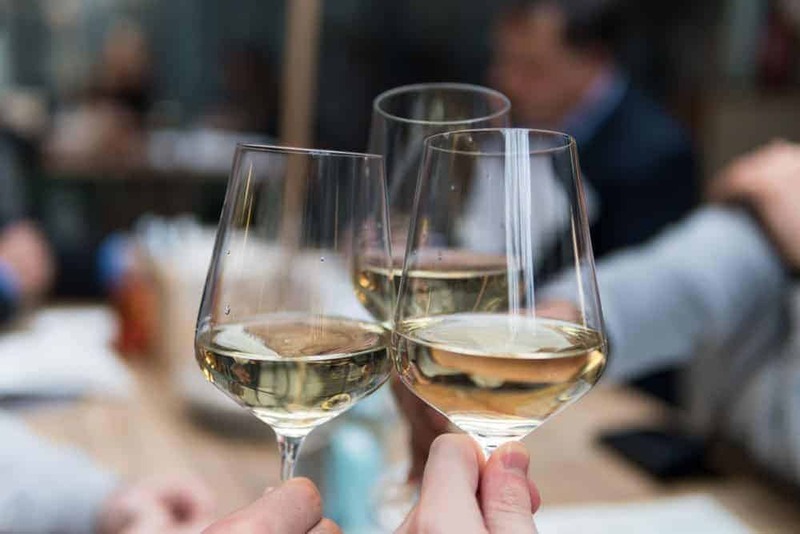 If you’re interested in visiting wineries take into consideration that during the first week of April the region hosts important tastings for those in the wine trade so many places won’t have time to attend tourists. Also, check if Vinexpo is happening during your visit. If it is, check if the wineries you want to visit will be busy. Harvest time, although beautiful, is also a busy season for wineries so keep that in mind if you’re planning your visit. Bordeaux is very safe when it comes to female solo travelers; you only have to exercise the usual caution when going out. Bordeaux will feel almost like most of the European cities but it can also be friendlier and more laid back. If you’re exploring on your own and get away from the more touristy places, chances are people won’t speak much English so keep that in mind. Always ask a local if there are some streets or zones in the city in which is better not to walk alone at night. Of course, you’ve heard about French men and their flirtatiousness, the rumors are the truth. When having conversations with French men there can be a bit of playfulness and flirtation within every conversation, they’re not shy and there’s no pressure to be politically correct, you may even feel they’re coming on too strong on you. If you don’t feel comfortable with that, simply don’t engage. 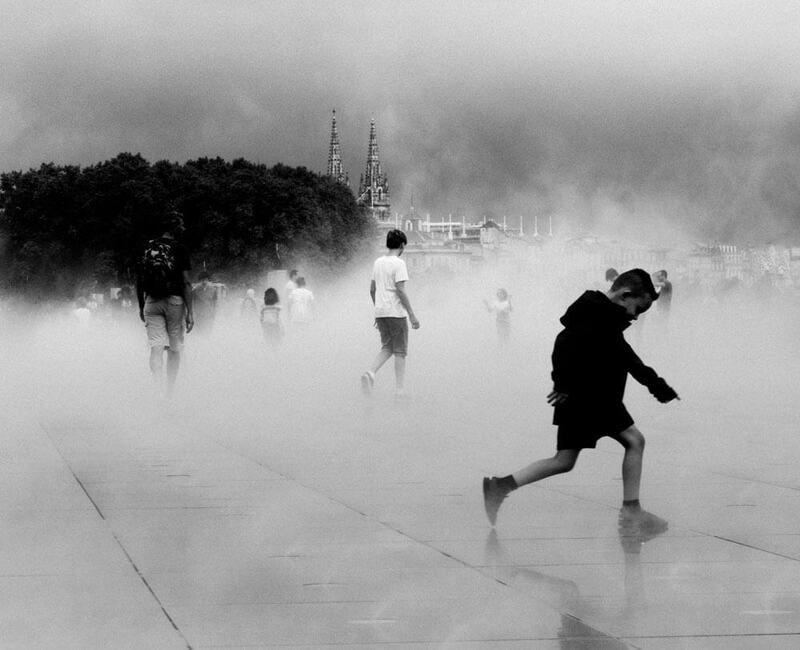 Bordeaux has many places your children will enjoy! Bordeaux is very friendly when it comes to kids or if you’re traveling with your family. There are tons of activities that both parents and children will enjoy. You can take a tour on a small train, for example, or visit museums like the Cap Sciences. A place you must visit with children is the Miroir d’Eau (in the Place de la Bourse), the Parc Bordelais and the Riverside sports facilities at Saint-Michel. Since the city is really friendly for pedestrians, your kids might also enjoy exploring Bordeaux on a bike or scooter or skating. Bordeaux is a city that has a lot to offer, you’ll have a great time there! And if you’re planning your next trip and are finding it difficult and stressful, download Talk Travel! It’s a free mobile app that will let you call and talk with travel experts from across the world. You don’t have to worry about planning or things to do. All you have to do is ask the local experts! Go ahead and download Talk Travel for iOS and Android clicking here.